Possibly French from the look of the waiter. 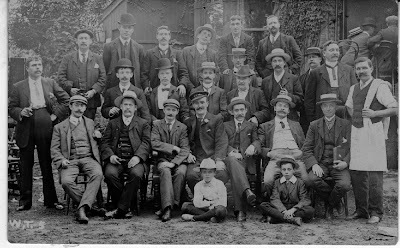 Twenty one of the Twenty Three men have moustaches. Possibly a predecessor of the modern Movember sponsored event.